‘Spotlight on… cycle safety’ aims to raise awareness of the issue of cycle safety and to share best practice. Ultimately, this initiative seeks to raise standards where necessary and reduce and prevent fatalities and injuries resulting from accidents between cyclists and construction traffic. Many construction sites are already taking action to reduce the risks to cyclists but the whole industry needs to come together and collectively address the issue. It is the responsibility of every construction site to do what they can to ensure the safety of cyclists around construction activity. The issue of cycle safety has received, and will continue to receive, much attention as the UK’s cities encourage the use of bicycles. Former Mayor Boris Johnson wanted London to be a ‘cyclised city’, where people could ride their bikes safely in a pleasant environment. With other cities following suit, it is important that the construction industry is seen to be taking a proactive approach, and leading the way in promoting safe cycling. 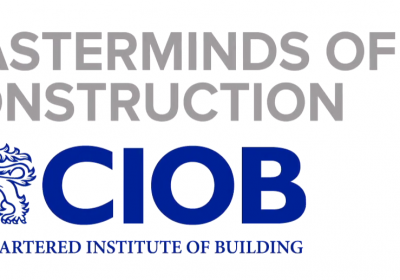 The industry’s enthusiastic uptake of the Construction Logistics and Community Safety (CLOCS) initiative is a sign of how the industry is seeking to embed good practice and drive change in construction logistics to ensure the safety of our roads. However, cycling deaths are still too high and the Scheme would like to take this opportunity to ask the industry to consider how its activities may have an impact on cyclists. The focus on cycling does not just simply consider safety either. Cycling is a great form of physical exercise and should be an activity that is encouraged both in leisure time and also as a means of transport. The industry should maintain an encouraging and positive attitude towards healthy living for their workforce; cycling is a great addition to consider when keeping fit. An increase in cycling as a form of transport is also beneficial for the environment and the community. Less vehicles on the road means less pollution and emissions which helps reduce the impact to the environment. It also means less traffic on the roads, which reduces the frustration for other local road users and also reduces the risk of accidents between vehicles. Of course these must be recognised as additional benefits with the safety of such cyclists coming first. Around 18,500 cyclists are killed or injured in road accidents every year. Over 100 cyclists have been killed on the roads every year since 2006. 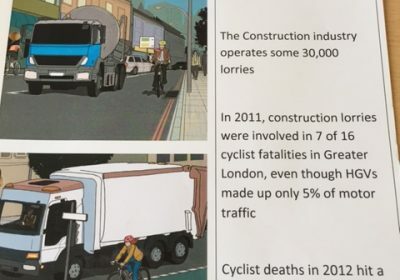 HGVs are involved in around 20% of cyclist deaths despite comprising 5% of traffic. Human error is the main reason for road crashes, with the most common factor being ‘failing to look properly’. 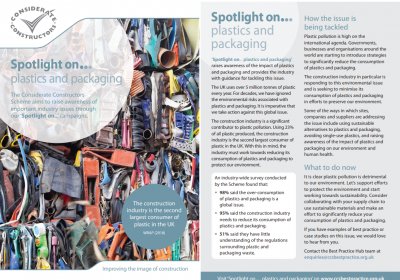 It is vitally important that the industry recognises this issue and continues to take action, and that everyone working in construction considers how their site and its activities, such as deliveries, parking, unloading etc. may impact on cyclists. A Traffic Management Plan should be established during the planning phase of the project which considers both on-site and off-site activity. 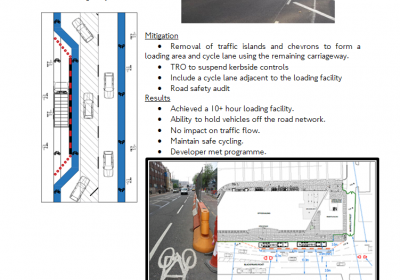 This should give particular reference to cycle routes, areas to avoid and delivery times. A traffic marshal should be present to regulate this plan, ensure a presence and respond to any incidents or safety hazards immediately. 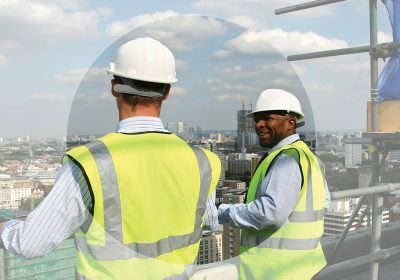 Road safety training should be provided to all operatives as part of their induction. 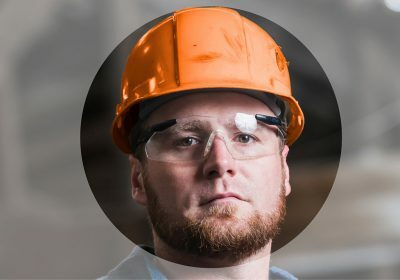 Even for employees that do not operate vehicles or use bicycles, it is still highly beneficial to understand how to maintain an awareness on and around roads and follow the guidelines. It is highly recommended to visit the governmental initiative; Construction Logistics and Cycle Safety (CLOCS). 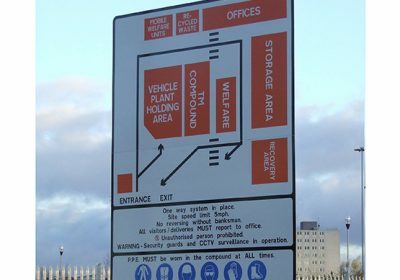 Establish a visible presence within the site office and welfare facilities for employees as well as on hoarding for the general public and visitors. This can be promoted through posters, flyers, documentation and any other resources that provide useful information. 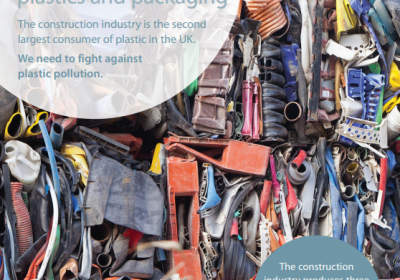 The Scheme hopes that the information made available from those organisations listed in this article will help construction sites and companies implement initiatives which raise awareness of cycle safety, and ultimately help reduce the number of construction-related accidents. It is important to remember that the onus of cycle safety does not rest solely on the actions of construction sites and their activities. 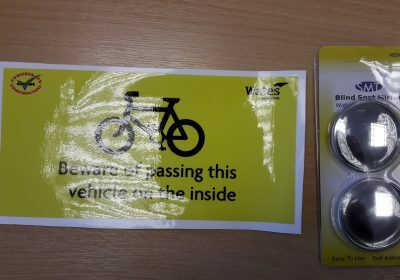 It is also the responsibility of the cyclists and other road users to play their part in being safe and responsible around construction activity. The Scheme encourages the industry to engage with the cycling community and work together to understand each other’s challenges. Cycling initiative – Staying Alive @ 1.5! 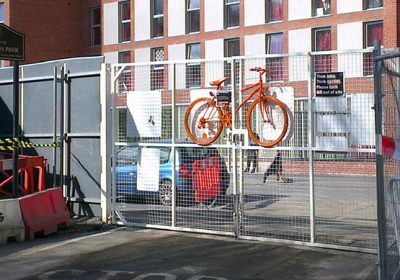 Longcross Construction‘s Castle Mill site supported their community through promoting the use of bicycles to operatives and put in place a safety measure to protect the public from construction vehicles. For more information, please click here. 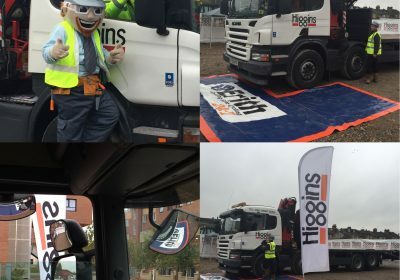 Peter Norris (Haulage) Ltd has joined the TfL’s Freight Operators Recognition Scheme (FORS) which offers practical advice and guidance to freight operators in London, to help them drive down costs and become safer and more environmentally-focused drivers. For more information, please click here. VolkerHighways are currently running their own safety awareness campaign in conjunction with the London Borough of Hackney. For more information, please click here. Amongst other things, this act defines the duties owed by a local authority to keep road networks maintained and cycle ways in a proper state of repair. Cyclists are permitted to use public roads and are therefore required to abide by the statutory regulations and laws that govern road users. This act outlines all the main motoring offences that apply to both motor vehicle users and cyclists. This act was designed to improve road safety and help achieve casualty reduction targets, making it a criminal offence to cause death by careless, or inconsiderate driving. First issued under Section 45 of the Road Traffic Act 1930, providing guidance and instruction for road users, including cyclists. British Cycling is the national governing body for cycling. British Cycling works hard to represent cyclists’ interest at all levels, including campaigning on important issues including road safety. Petitions are set up for GO20 (20mph limit in all residential areas) and cycling awareness in driving tests. Cycling Scotland is a cycling organisation dedicated to creating an environment where people can cycle easily and safely. Their Cycle Friendly Employer award is an accreditation scheme supporting organisations wishing to encourage cycling to work. The Department for Transport’s THINK! campaign provides road safety information for road users. 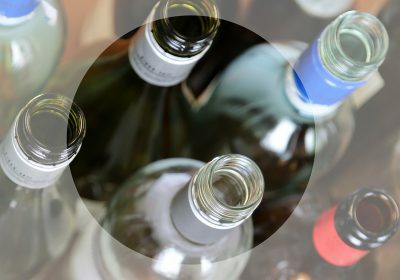 Their aim is to encourage safer behaviour to reduce the number of people killed and injured on the UK’s roads every year. For more information, please click here. The London Cycling Campaign aims to transform London into a healthier, cleaner and happier place to live where people can cycle without fear. 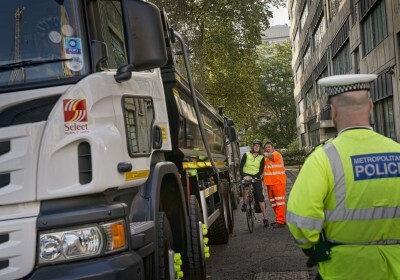 With regards to cycle safety, they run a successful programme in conjunction with TfL to promote cycling projects across Greater London, including a campaign for safer lorries. The Royal Society for the Prevention of Accidents (RoSPA) publish a wealth of information regarding cycle safety advice and information which can be found here. 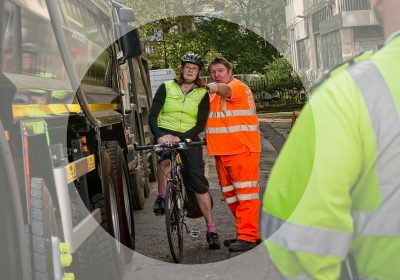 – RoSPA also publish a short video which highlights the dangers faced by cyclists on the road especially when in the vicinity of lorries. 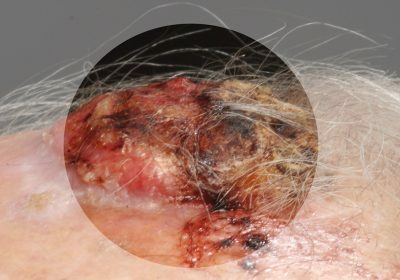 Click here to watch the video. 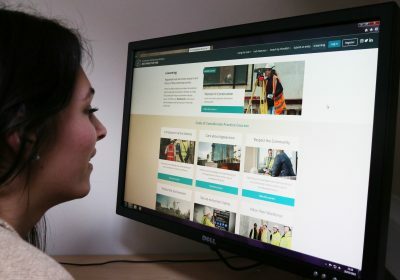 See Me Save Me is a campaign website coordinated by RoadPeace, the national charity for road traffic crash victims, dedicated to reducing lorry danger and saving lives. 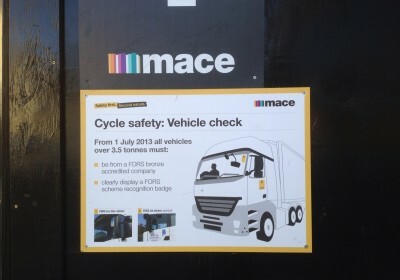 One of their objectives includes reducing the threat posed by lorries to cyclists and pedestrians, with a focus on eliminating lorry blindspots. Transport for London (TfL), in partnership with Barclays Cycle Superhighways, are at the forefront of raising awareness and promoting cycle safety. They have developed a toolkit which offers practical advice to help minimise the risk of collisions between vehicles and vulnerable road users on the Capital’s roads. However, this information is just as applicable for sites based outside of London and provides excellent advice on how to promote safer cycling. Please click here for more information on the toolkit. 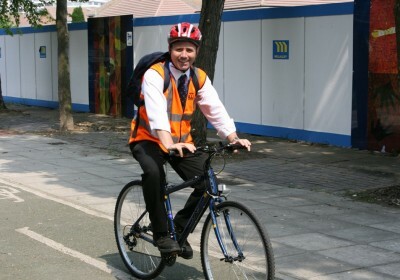 – TfL have also published a number of safety tips on their website for both drivers and cyclists. – TfL and University College London (UCL) have a Cycle Safety Ambassador Scheme promoting cycle safety at London universities. They offer free cycling support, training sessions and cycle checks. 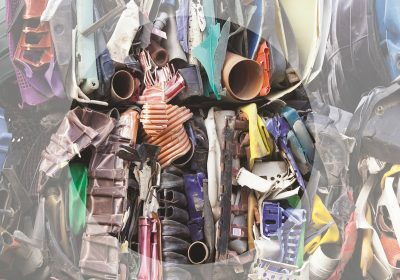 What is currently being done in the industry? BAM organised its ‘BAM bikes for Macmillan‘ challenge where over 100 employees embarked on a nine-leg 900-mile cycling trip of the UK in aid of Macmillan Cancer Support. 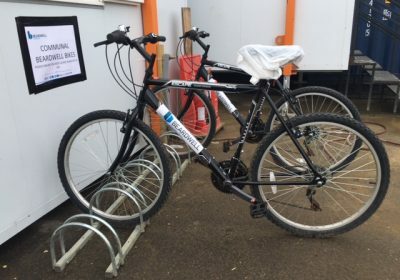 Not only did the challenge raise funds for the charity but also promoted the benefits of cycling to its workforce. BAM is a great supporter of cycling and offers a discounted cycle-to-work scheme on all of its construction projects. Cemex is committed to improving safety for cyclists. They have made numerous safety improvements to its fleet of vehicles. They have held open days for cyclists, to make them aware of how difficult it is for a cyclist to be seen from a driver’s cab. 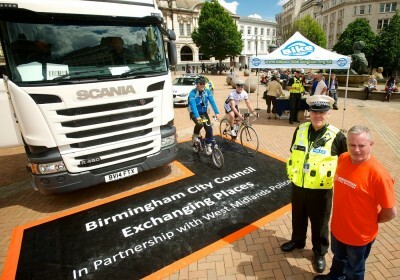 They have organised training for HGV drivers which was delivered by CTC, the national cycling charity. Their campaign has been supported by key organisations such as TfL and the Metropolitan Police. All Cemex vehicles have been equipped with extra mirrors so the blind spot is now visible, as well as rear signage and sensors. Cemex works closely with RoadPeace and RoSPA. For more information, click here. 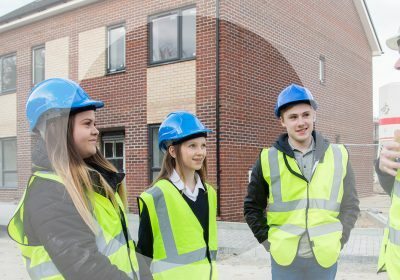 Construction Logistics and Community Safety (CLOCS) aims to achieve a visionary change in the way the construction industry manages work related road risk. 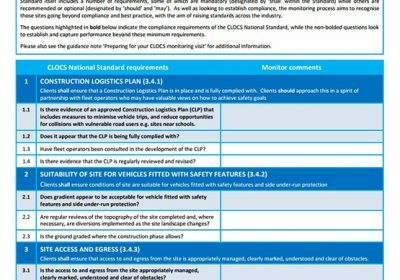 CLOCS has developed the CLOCS Standard for construction logistics, a common standard for use by the construction logistics industry. Implemented by construction clients through contracts, it provides a framework that enables ownership in managing road risk which can be adhered to in a consistent way by fleet operators. Crossrail have undertaken a number of initiatives including training 3500 lorry drivers in cycle awareness; making additional safety equipment mandatory on all lorries and vans working on Crossrail; translating their road safety information into 18 different languages; organising safer cycling awareness events near their construction sites to help cyclists become more aware of the risks of cycling next to lorries and fitting road safety mirrors around their construction site. 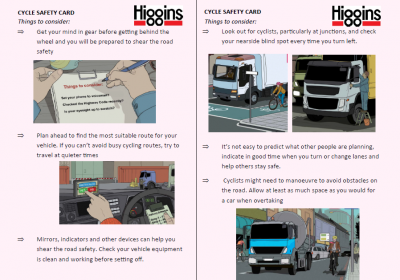 They have also produced 10 top tips for cycle safety aimed at cyclists. For more information, see here. 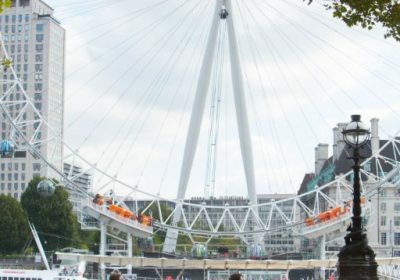 – Crossrail confirmed that they complied with safety demands when contractors started turning away companies whose lorries were not fitted with full safety features. 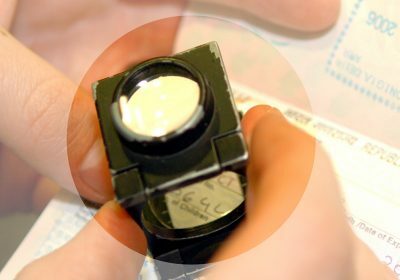 They have written to local councils asking them to impose the same strict rules. 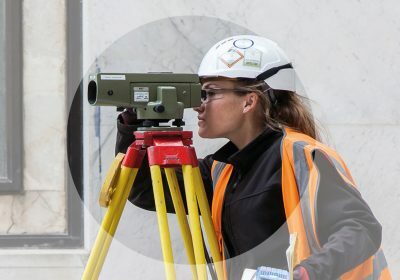 Crossrail require their vehicles to meet strict safety standards and have cycle specific safety equipment, blind spot mirrors and detection equipment. 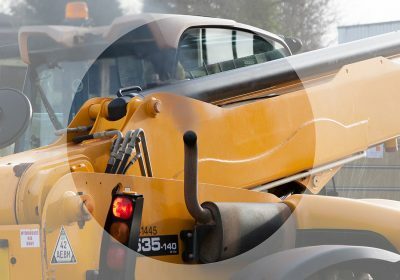 Institution of Civil Engineers is committed to reducing the danger posed to cyclists, particularly by construction vehicles. They are CLOCS Champions and have established a Cycling Working Group to embed good practice and drive change. Read more here. 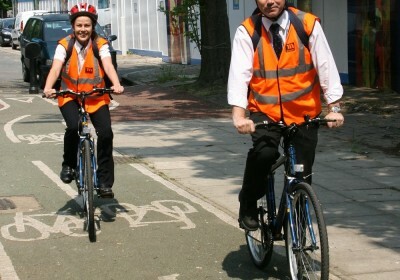 The Mineral Products Association (MPA) launched their Cycle Safety Strategy in June 2011. MPA’s position is that there is joint responsibility for road safety. National and central government must ensure that roads and junctions are designed for safety and properly maintained, Large Goods Vehicle (LGV) operators and drivers must take action to minimize the risk of collisions and cyclists and other vulnerable road users must behave responsibly.